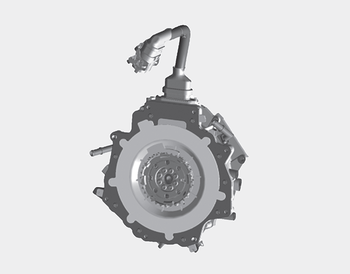 The Hybrid battery uses high voltage top operate the electric motor and other components and other components. High voltage is dangerous if touched. Your vehicle is equipped with orange colored insulation and covers over the high voltage components to protect people from electric shock. High voltage warning labels are attached to some system components as additional warnings. 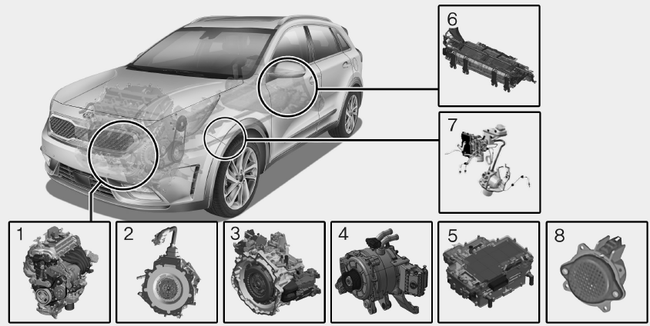 Your vehicle is recommended to be serviced by an authorized Kia dealer. Never touch orange or high voltage labeled components including wires, cables, and connections. If the insulators or covers are damaged or removed, severe injury or death from electrocution may occur. 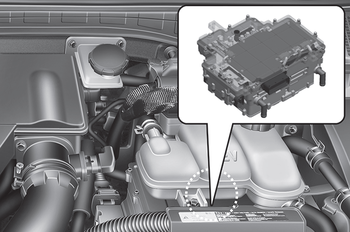 When replacing the fuses in the engine compartment, never touch the HPCU. The HPCU carries high voltage. Touching the HPCU could result in electrocution, serious injury, or death. 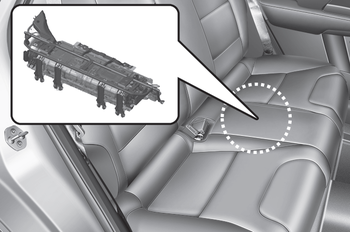 Do not apply strong force nor pile up any items above the rear seat. Such an attempt may distort the high voltage battery case, causing a safety problem or degrading the performance. Be careful when loading inflammable liquid in rear seat. It could cause operational and safety degradation if the liquid leaks and flows in high voltage battery. Prolonged exposure of high voltage battery to high temperature may lead to decrease in battery performance. Therefore, the heat treatment duration for vehicle paint work should not exceed 30 minutes in 70°C and 20 minutes in 80°C. When cleaning the inside of the engine room, high pressure washing and applying water directly can both cause short circuit of the high voltage. This may lead to electric shock. Also, the vehicle parts, especially electronic, can be damaged and result in vehicle malfunction. Always use caution when cleaning the inside of the engine room. As with all batteries, avoid fluid contact with the Hybrid battery. If the battery is damaged and if electrolyte comes in contact with your body, clothes or eyes, immediately flush with a large quantity of fresh water. Do not use an after-market battery charger to charge the Hybrid battery. Doing so may result in death or serious injury. Avoid high waters as this may result in your vehicle becoming saturated with water and could compromise the high voltage components. Do not touch the any of the high voltage components within your vehicle if your vehicle has been submerged in water equal to half of the vehicle height. Touching high voltage components once submerged in water could result in severe burns or electric shock that could result in death or serious injury. Do not load large amounts of water in open containers into the vehicle. If the water spills onto the HEV battery, it may cause a short and damage the battery. When you clean the engine compartment, do not wash using water. Water may cause electric arcing to occur and damage electronic parts and components. High voltage in the hybrid battery system is very dangerous and can cause severe burns and electric shock. This may result in serious injury or death. For your safety, never touch, replace, dismantle or remove any portion of the hybrid battery system including components, cables and connectors. If water or liquids come into contact with the hybrid system components, and you are also in contact with the water, severe injury or death due to electrocution may occur. When the hybrid battery system operates, the HEV battery system can be hot. Heat burns may result from touching even insulated components of the HEV system. Prolonged parking might cause battery discharge and operation failure due to natural discharge. Driving the vehicle approximately once every 2 months, more than 15 km is recommended. The battery will be charged automatically when driving the vehicle. 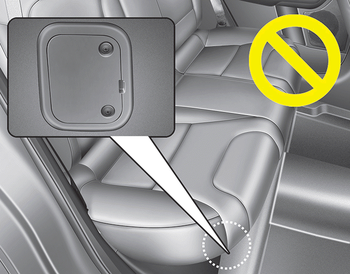 The safety plug is located underneath the rear seat. Never touch the safety plug under the rear seat. Safety plug is attached to high voltage hybrid battery system. Touching safety plug will result in death or serious injury. Service personnel should follow procedure in service manual.